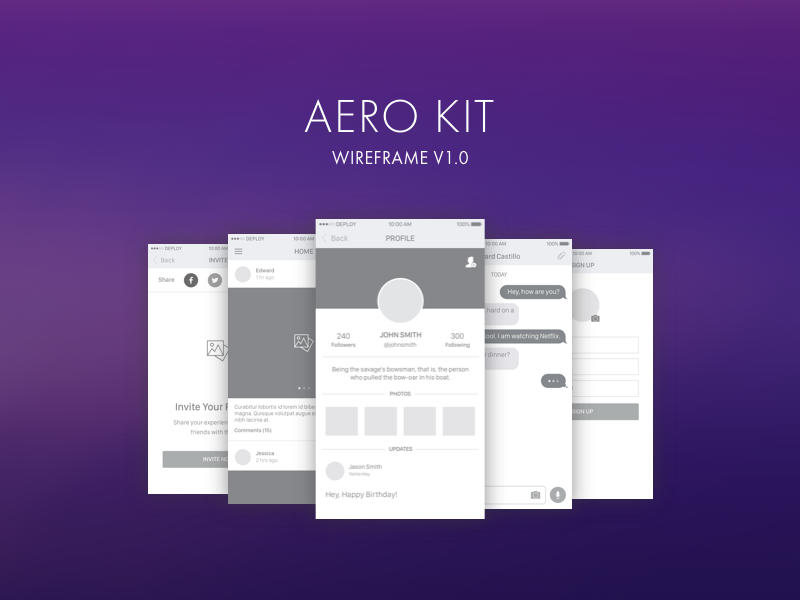 Aero Wireframe Kit v1.0 provides 20 Wireframes and 30 UI Elements for designing apps. It is inspired by Facebook and Instagram and is properly grouped and labelled into symbols and pages. The Aero Kit v1.0 will be extended in the future for more functionality.